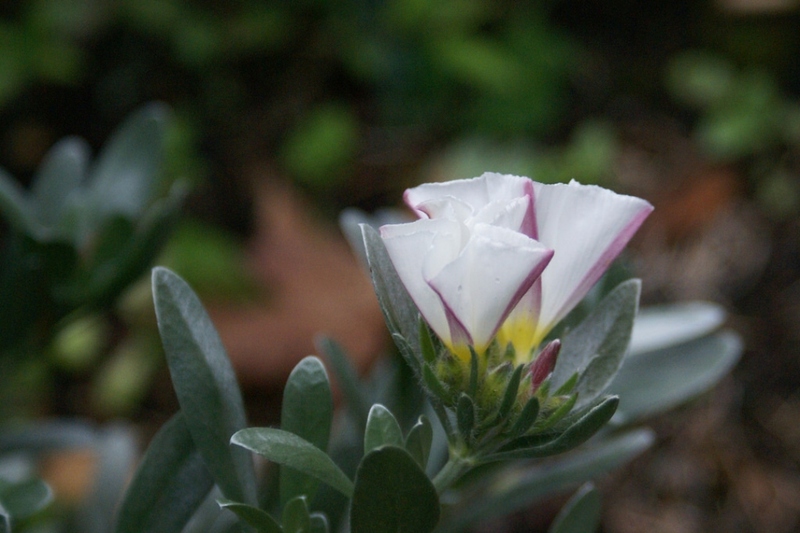 Silverbush (Convolvulus cneorum): growing, planting, caring. A shrubby - rather than a vine - member of the Convolvuluceae family. 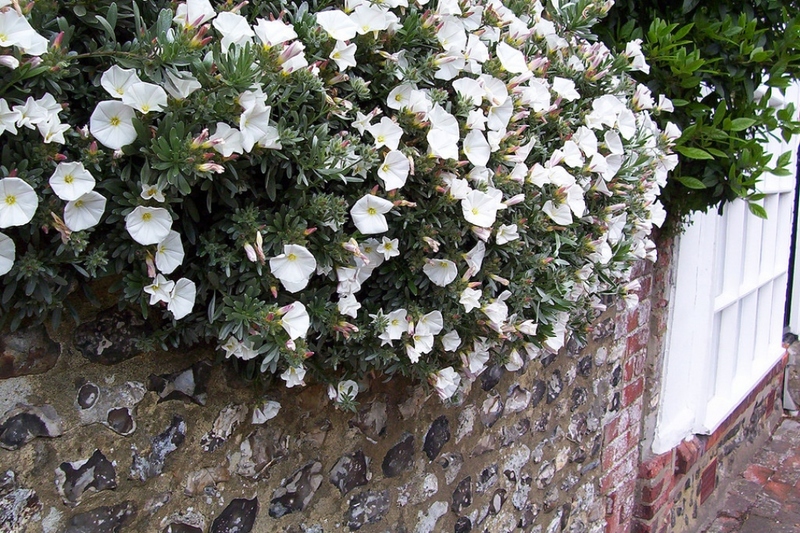 Convolvulus cneorum - Silverbush or shrubby bindweed - is a species of flowering plant in the family Convolvulaceae, which contains many plants described as "bindweed". However, unlike other species in the genus, this one is an evergreen shrub rather than a vine, forming a low mound 0.6–1.2 m (2 ft 0 in–3 ft 11 in) in height, with a similar spread. It produces 2.5–4 cm (1–2 in) diameter flowers which are white with a yellow throat. The leaves are grey-green and are covered in fine hairs which give the plant its silvery appearance. 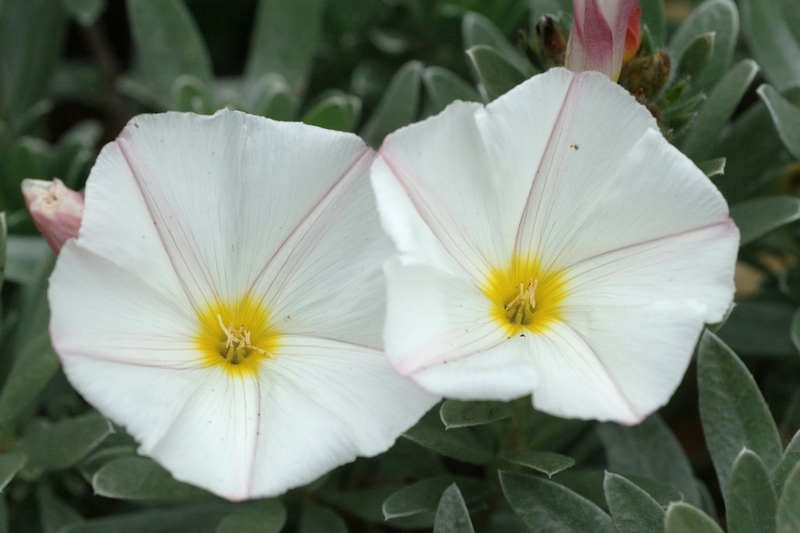 Shrubby bindweed - Convolvulus cneorum - also called silverbush, is a Mediterranean shrub with evergreen, silvery green, lanceolate - lance-shaped foliage! - and fluffy, forming beautiful luminous bushes in dry rockeries that can reach 40 to 60 centimeters in height and up to 80 in width. Its white flowers with yellow heart, 2 to 4cm in diameter, bloom from April to June-July. Plant this shrub in the sun, typically in a mineral garden, or in a tray. The ground must be well drained, and keep in mind that if it is less than 10-12 ° C in your area in winter, you will have to shelter it. In this case, prefer growing it in a big pot. Plant in a hole at least twice as big as the root ball. Soak the roots before planting, this will greatly improve the chances of recovery, regardless of the conditioning. You can form a bowl around the foot, which will be used for watering during the first months. Tamp the soil well around the roots (do not hesitate to use all the weight of your body). Water copiously until filling the planting bowl. After planting, add some compost to the top of the soil - and mulch! In pots, choose a big container. Plant in a draining substrate mixed with sand and gravel. Water. To help it spend the winter, protect your bindweed from cold winds - which are his real enemy! - bringing to his base a good mulch of leaves. To help winterize in the cold climates, bring your bindweed to a cold greenhouse for shelter - or in a bright, but frost-free spot. You can take out your shrubby bindweed after the last frosts, finding a place in the sun, or in semi-shade to start, and you will move it later. You should also resume watering! If you keep your shruby bindweed in pot, plan a repotting every 2 to 3 years, in potting soil and a slightly larger pot. Unwind the root hair if you can, this will help settlement into the new container. Mulch your shrubby bindweed if you can, in the fall or spring, with shredded wood - no softwood, if possible. Otherwise, use dry leaves.